When it comes to buying a house, the more you know going into it, the better off you’ll be. The home-buying process can be long, arduous and more than a little stressful. But, the more knowledge you have about the process before you dive right into it, the better off you’ll be throughout the whole thing. At Urban House Realty, we believe that, at least when it comes to real estate, knowledge is power. 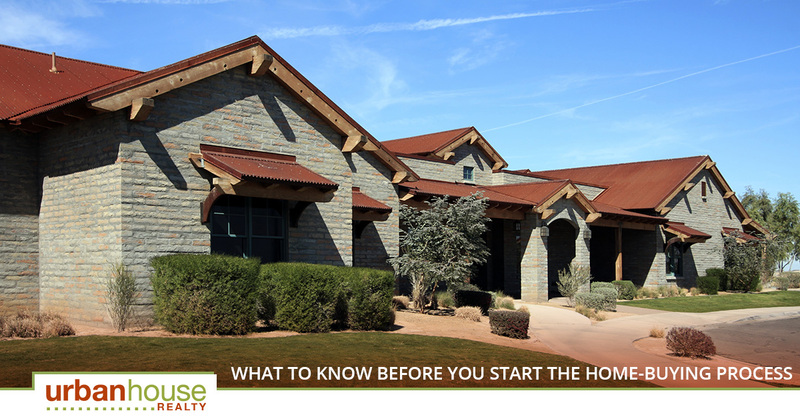 That’s why we’ve set out to help you learn what you need to know before you start the home-buying process. #1. How much can you afford in a monthly mortgage payment? When you apply for a mortgage, chances are, your loan officer will probably give you the highest estimate of what you can afford based on your income, debt-to-income ratio and any other assets or expenses you may have. However, just because the bank thinks you can afford a certain amount, it doesn’t mean that is the reality for you. Before you even talk to a banker, it’s a good idea to look at your budget and figure out how big of a mortgage payment you are comfortable with paying. This way, you won’t be tempted to buy the biggest house the bank says you can afford, just because they say you can afford it. #2. Learn what the market is like. Knowing a little bit about the market you’ll be buying a house in will help to prepare you for what’s to come. Right now, here in Phoenix, we’re in a seller’s market. In markets like these, there are usually more people looking for homes than there is inventory, which makes it much more difficult to get a seller to compromise on everything from the price of the house to fixing things that may be wrong with it. That’s not to say that there’s no wiggle room in this kind of market, but it’s not going to be as easy to compromise as it would be if you were to buy in a buyer’s market. #3. Determine how handy you are, and how much work you want to do. One great way to get into a beautiful home without breaking the bank out of the gate is to buy a fixer-upper. Some homes have great bones, but have some cosmetic imperfections that can be repaired over the years. Before you get into the home-buying process, it pays to think about what kind of work might need to go into the home. Are you very handy? What kinds of home improvement projects are you comfortable with doing on your own? Or, would you prefer to buy a home that is already move-in ready? #4. Are your finances ready to buy/maintain a home? Inspection – Not only will you want to make sure you have the money to cover the inspection itself, but you’ll want to have money set aside in case the home needs additional inspections or testing, like for foundation problems or radon. Closing Costs – Closing costs are typically between two and five percent of the home’s value, and they include the appraisal fee, the survey fee, the wire transfer fee, the unwriting and origination fees, the document prep fees, the credit report fee, the title insurance and any applicable recording fees. Property Taxes – There are two things that are certain in life — death and taxes. Many people don’t realize that they’ll have to pay property taxes on their new home at closing, but it’s a reality you’ll want to save for. In general, in cases where the seller has already prepaid the taxes, you’ll likely need to reimburse them, and if they haven’t yet paid taxes they owe, they’ll reimburse you. We hope that this blog will make you feel more prepared for the home-buying process, but if you have any questions or concerns, please don’t hesitate to contact us! Not only can our real estate agents help you find the right home for you in Phoenix, but we’re also happy to help you get through every part of the home-buying process. Contact us today to get started!